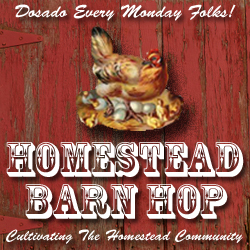 It's Monday and time for another Homestead Barn Hop! I'm having so much fun getting to know more bloggers and seeing some great homesteads. So many interesting things to see and read! • Write a homestead related post on your blog. You can share photos, a homesteading story, or a tip of something you've learned. • Come back here and Link Up by clicking where it says "You are next...". Add the title of your post, your photo, and your email address. And that's it! You're now helping to Cultivate the Homestead Community by connecting with other homesteaders and sharing what's going on in your part of the world! Poor kitty. No, we weren't trying a new homesteading technique for mopping the floors. 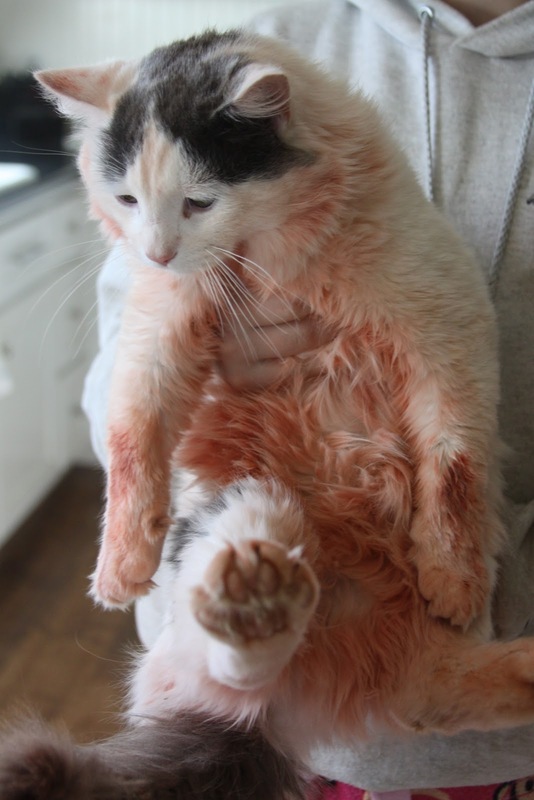 It's masonry pigment that the three kittens (now nearly full grown cats) decided to roll in this week. They act like it's got cat nip in it or something! Still not sure how we're going to get it out or if we even can get it out. Good thing I like red!